While you were using the Facebook app on your iPhone, Android, or other mobile device, did one of the landing page links in your Facebook post go to someone else? 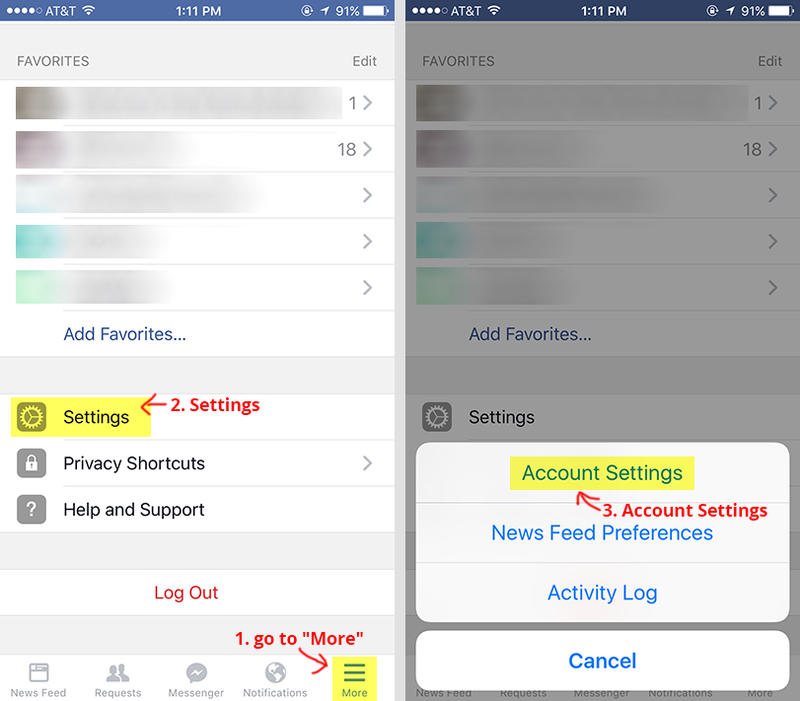 This article will help you fix this in the Facebook app on your mobile device. If you are having issues in Chrome, Safari, or Firefox, please see this article. First, please make sure that the link you shared in your Facebook post is a full and correct link. To see if you are sharing a full and correct link, please see this article. If you are clicking on a link that has a Site Username and the URL has a different site username, this means the cookie is set to a different user in your Facebook app. Just like how on your computer, if you have multiple internet browsers (such as Google Chrome, Firefox, Safari for Mac) – cookies set in different browsers may be different. What this means is, if your Chrome internet browser on your phone goes to your landing pages but in your Facebook app your links are going to another user, this is normal as they are two different applications on your phone (but yes – you can fix this!). 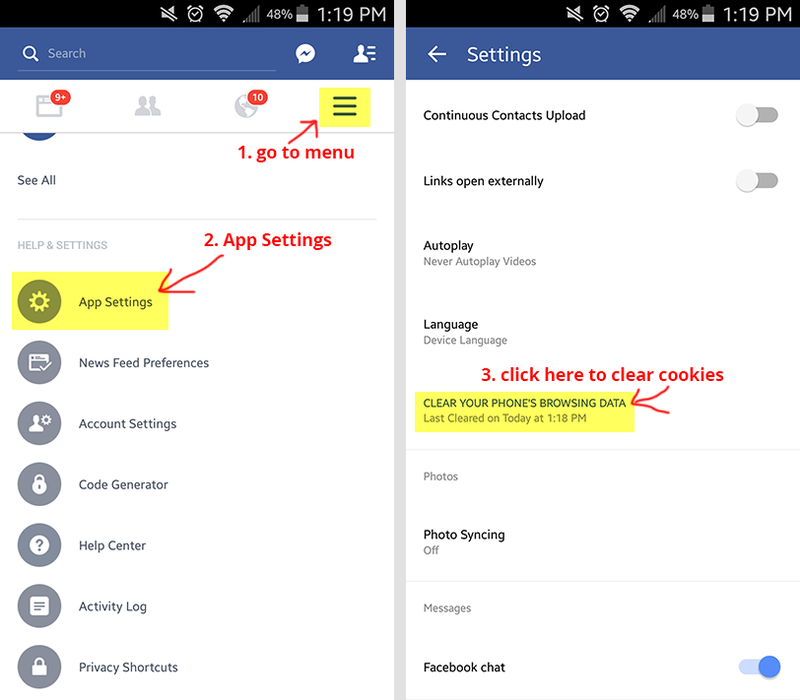 Just like on your internet browser or your phone, cookies were set in your Facebook app when you clicked on a previous link. +-How do I fix it? 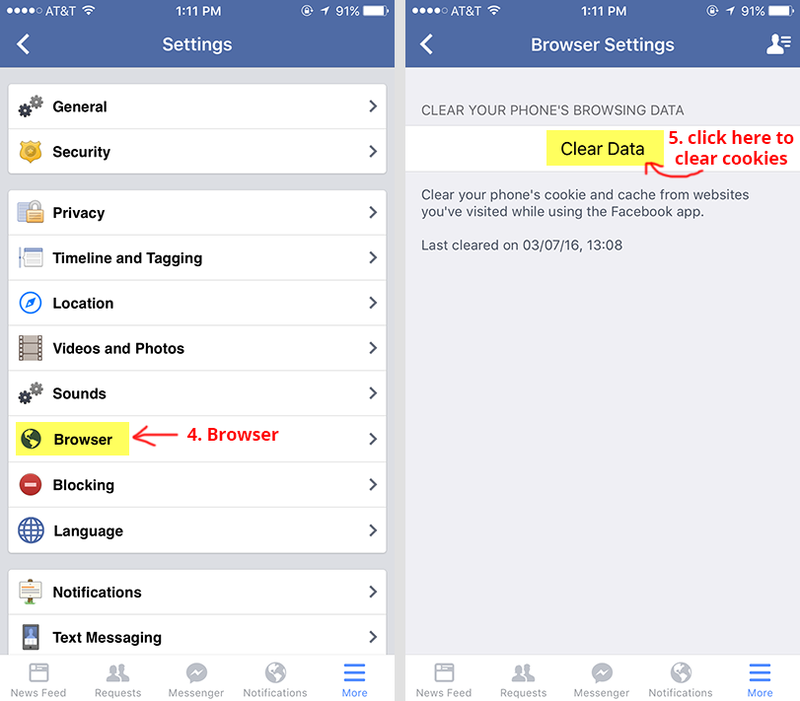 You can fix this by clearing the cookies inside your Facebook app. See how below. The contact information on the page should have your info – or you can copy the link and paste it somewhere to make sure your username is in the URL. Any questions or still having trouble? Send us a ticket at [email protected] or call us at 866-535-0883. We are open Monday – Friday 8:30 AM – 4:30 PM Central Time. In your Facebook app, go to “More” on the bottom right of your screen.